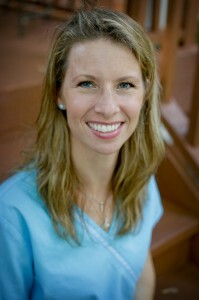 I remember asking Jen, while cleaning her teeth one day, if she ever thought of becoming a dental hygienist. Jen has a great personality, smile, and I knew whatever she did, she’d give 100%. That was twenty-two years ago! Jen not only is a skilled professional clinician, she always gives her patients the special personal touch that let’s them know she cares about them and invests in promoting their oral health. She not only enjoys her profession but is quite involved with her husband raising their two beautiful daughters.